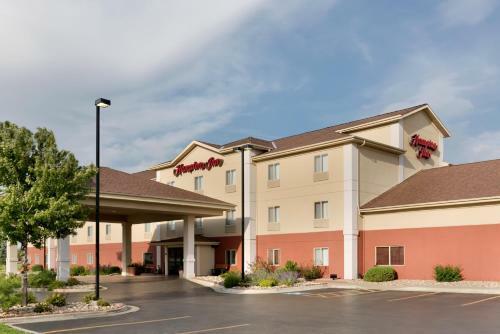 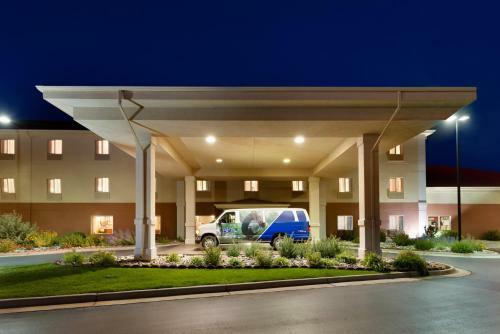 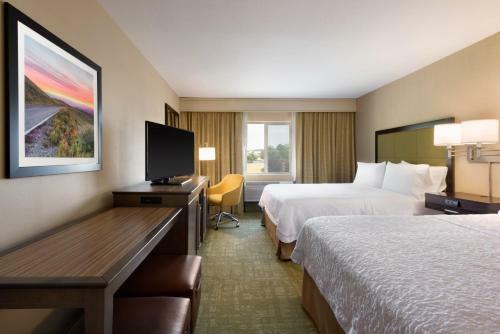 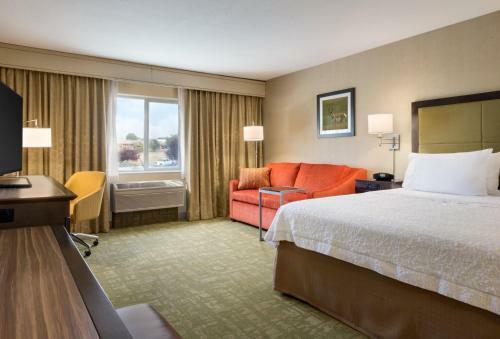 Hampton Inn Gillette is located off of Interstate 90 and is 5 minutes' drive from Downtown Gillette, Wyoming. 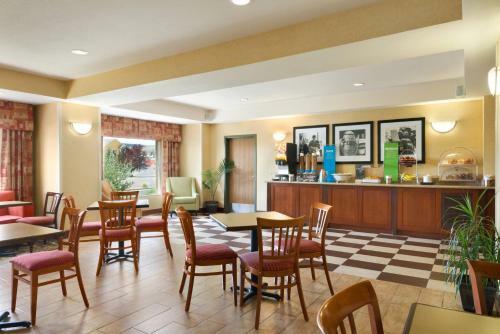 This hotel features spacious rooms with free WiFi, and serves a daily breakfast buffet. 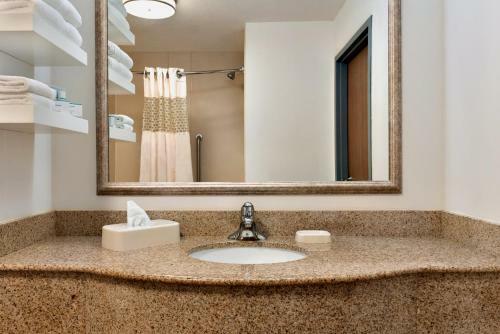 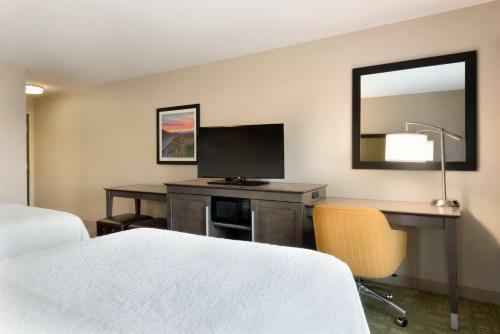 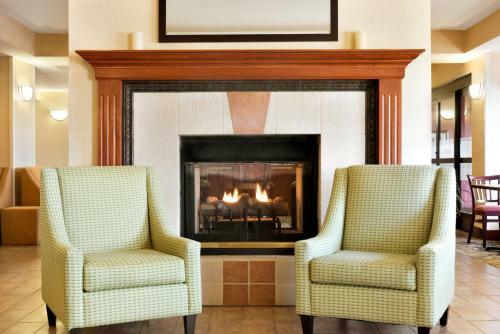 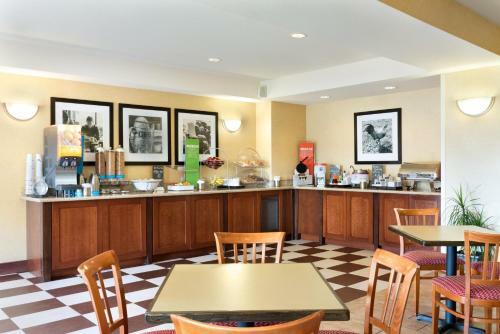 A cable TV and coffee maker are standard in every room at the Gillette Hampton Inn. 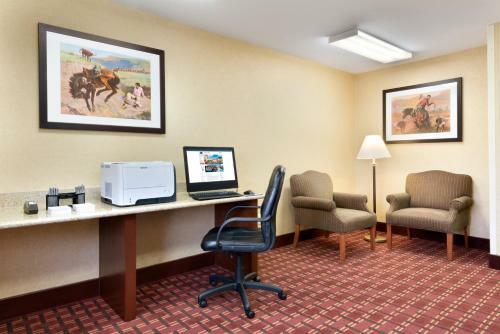 All rooms are brightly decorated with white linens and include a work desk. 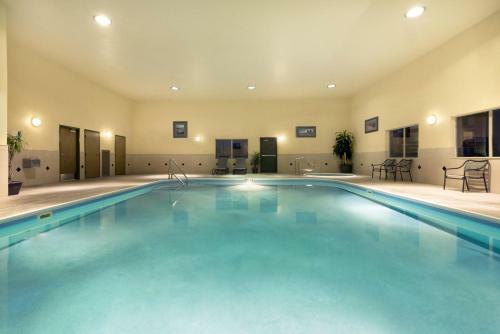 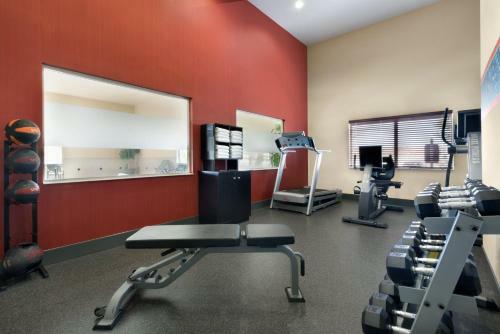 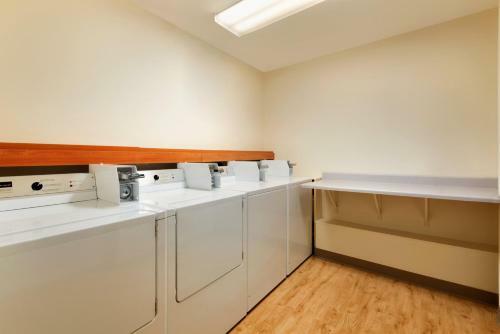 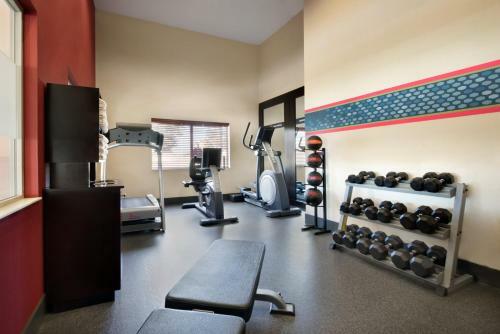 Guests of the Hampton Inn Gillette can enjoy free access to leisure facilities, including an indoor pool, hot tub, and a small gym. 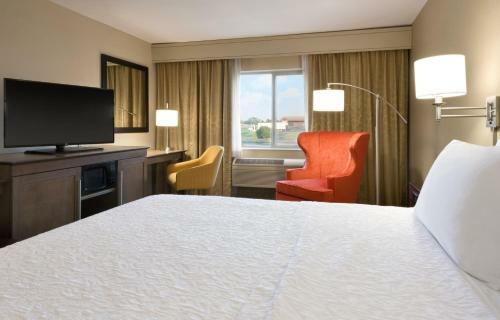 A business centre and free on-site parking are also available. 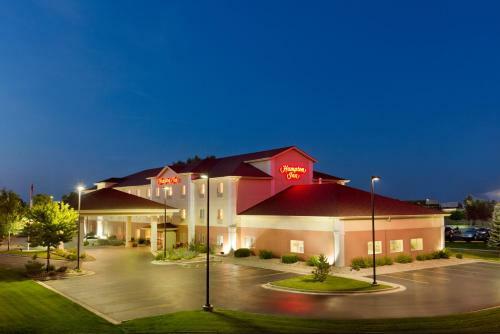 Rockpile Museum, featuring Native American artifacts, is 12 minutes' walk from the hotel. 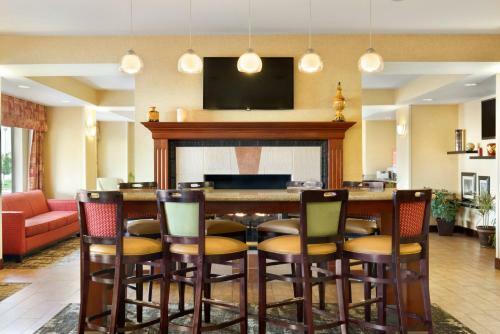 Bell Nob Golf Course is 2.8 miles away. 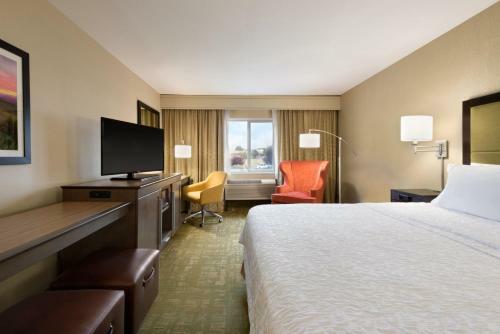 the hotel Hampton Inn Gillette so we can give you detailed rates for the rooms in the desired period.